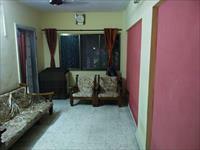 Hi i am dealing in real estate in thane. 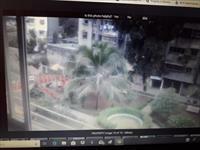 (mira road and bhayandar, vasai and all mumbai dahisar to colaba proper mumbai) property add in my site buying and selling as a middiater like a agent profile point off view. ALSO I DO SREEJI TOUR AND TRAVELS BUSINESS LIKE BUS ,RAILWAY,AIR,BILL PAYMENT AND RENT A CAR BOOKING IN MY OFFICE ADDRESS MEET ME I AM NILESH KAKRECHA FROM MUMBAI BHAYANDAR THANE AREA LOCATION . Mira road is best famous area like Mumbai area all brand showroom and restaurant are there in mira road also its connected to Mumbai easy way buy train ,best bus,mirabhy bus from Borivali and Andheri also buy rent car buy highway connected its mostly transformer city off Mumbai village all small home stay in Mumbai sifted too big apartment in Miraroad it self high fy life style complex and residence project are there to live life happy thank you. ALL SHOWROOM OFF BIG BRAND ARE OPEN IN MIRAROAD IT SELF . 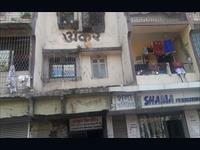 Bhayandar east is so old constructed like 50 year ago . 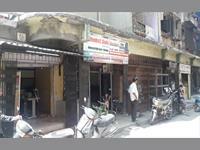 I send this property like pandurang chaal building is also old age off this property above 35 its walking distance from railway station hardly 5 to 10 minits no rikshaw or bus take just walking and come your residence get after 7 minits. NEAR BUY SEE THE CREEK WHO CALLED BHAYANDAR CHOPATY. 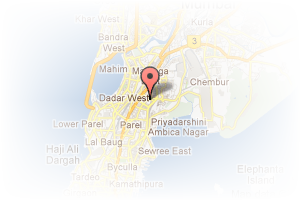 Address: Shop No.3 Mahavir Developers Goddev Naka ( Bus Stop ), Bhayandar East, Mumbai, Maharashtra, India. 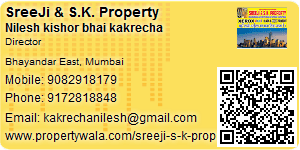 This Broker Profile page for "SreeJi & S.K. Property" has been created by PropertyWala.com. "SreeJi & S.K. Property" is not endorsed by or affiliated with PropertyWala.com. For questions regarding Broker Profiles on PropertyWala.com please contact us.